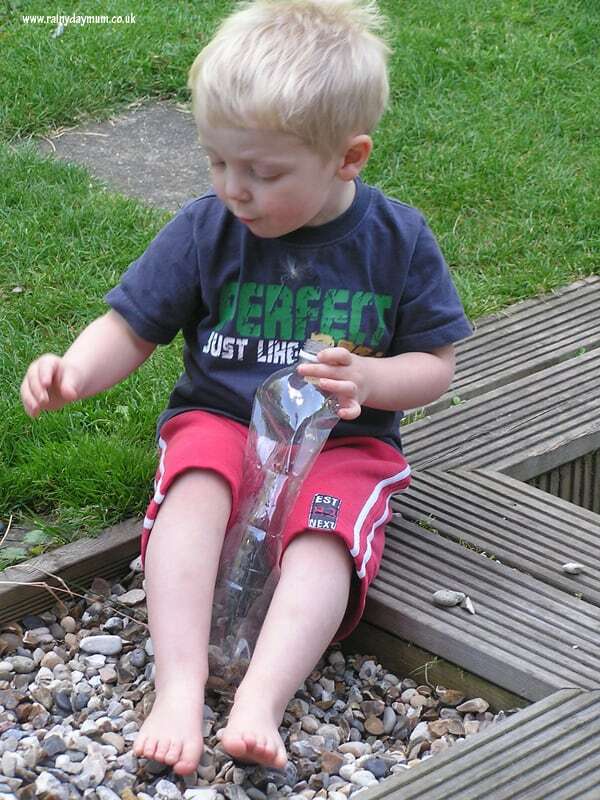 Sometimes you just have to leave children to discover their own play – J sat in our garden this week with one of the many bottles that we use in our water table and paddling pool with some stones and started posting them into the opening. As he sat he picked up the stones and sorted them declaring them to be “TOO BIG”, or “WRONG SHAPE” to fit in the whole – the pile at the side with a few stones grew as he played. 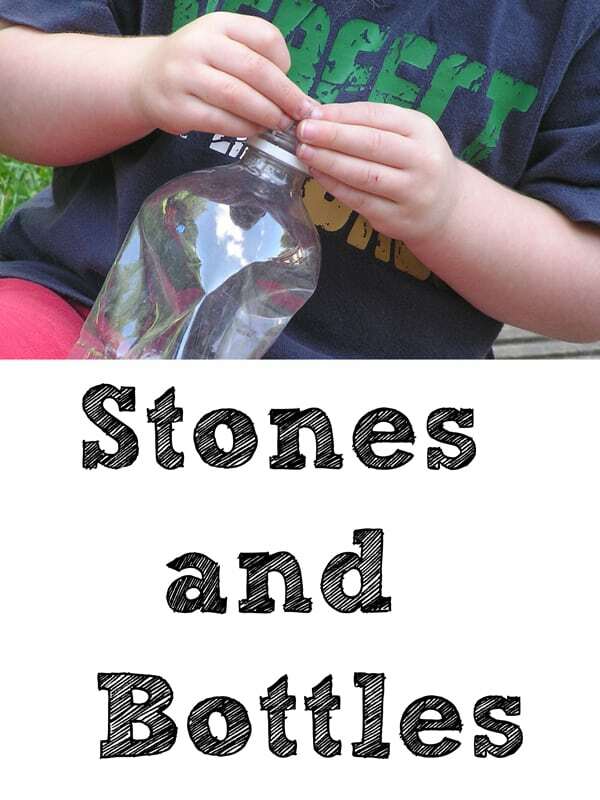 Guessing whether a stone would fit and then trying it out to see whether he was right or wrong was part of the fun of the game that he created. Working on posting 3D shapes through a 2D hole is great for spatial awareness as his mind was working on two different planes of thought. While he was playing he would twist and turn the stones looking at the different planes that he could see before he declared it wouldn’t fit or would post it in. This is a natural version of the many shape sorters on the market and what’s more although there is only 1 slot the possibilities of shapes that will fit it are endless but need the mind to work in abstract ways to think about how they will fit. Once he had enough stones he would then have great fun shaking them all out and restarting again. 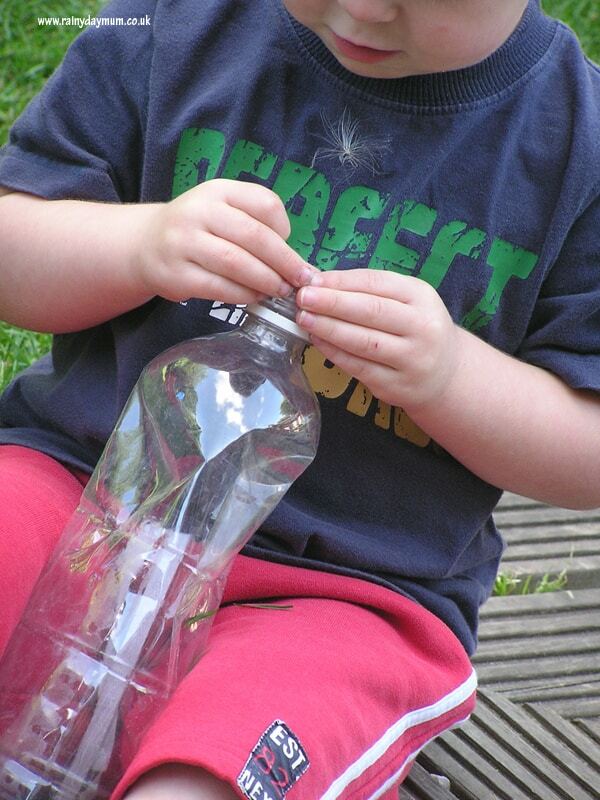 What natural games have your children come up with themselves?